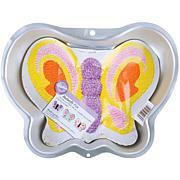 Get creative with the Wilton Novelty Cake Pan. Whether you're a serious baker or a budding beginner, the right bakeware is key to your success. Baking is easy and fun with this whimsical pan. Perfect for the musician in the family or for the kid in you, whether you bake a cake or make a gorgeous gelatin. This is one of my favorite cake pans. I am excited to make my son's birthday cake this year. He has been playing guitar for 5 years. We have always ordered professional guitar themed cakes. Well, this year I am the professional! Wilton makes the directions easy to follow and I think an amateur like me can finish with a cool cake. I can't wait to see his expression when we present him with his cake. I also bought the Wilton decorating kit with spare bags. If I am going to do it, I am going to do it like a pro! 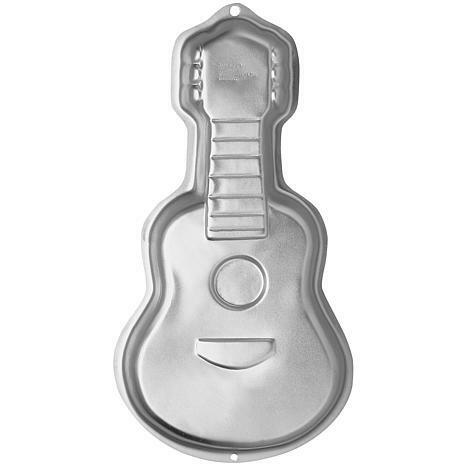 This guitar cake pan is too cute! I made the cake guitar for my son's 15th birthday! It looked so cool. I had everyone asking me where I got the pan from! 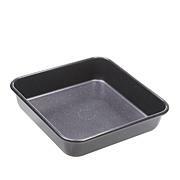 The Wilton Guitar shaped cake pan far exceeded my expectation! For such and inexpensive price I was expecting a cheap cake pan. This pan is heavy duty and has great detail, and it is large. Great Value, Great Product, Thank You HSN!! !